Dr SIL has an electric bicycle I have shown you before. Since I wrecked his brand new expensive road bicycle a few years ago--before he ever rode it---I did not ask could I take a spin. It is best to not invite rejection! 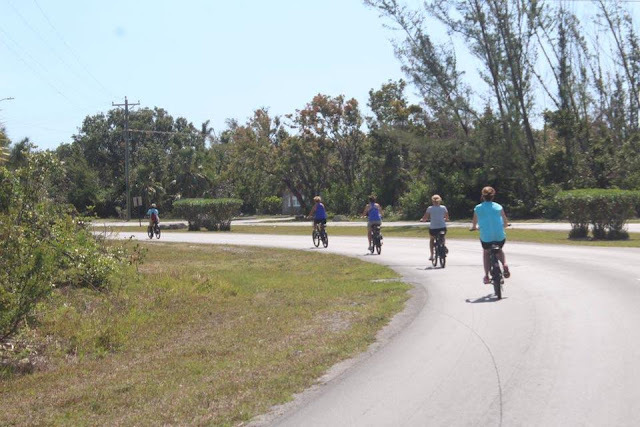 The girls, who are kind enough to let me tag along on on their fun trips, decided it was a good idea for us all to go on an electric bike guided tour while in The Bahamas. 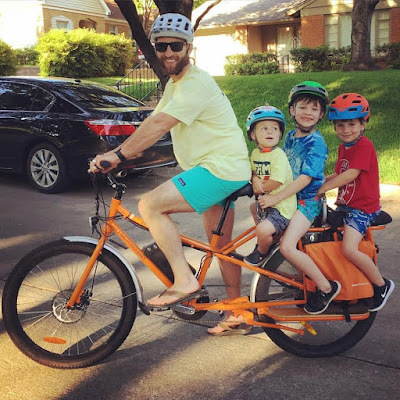 I must admit it sounded much better than trying to keep up with these three experienced bikers on a you propel it bicycle. The other three experienced riders pedaled quite a bit. At the back of the pack, I sat back, turned up the throttle and raced along with no effort what so ever. They certainly got some exercise, but we all reached the same beaches at the same time -saw the same views-heard the same history-ate the same lunch-and sat on the same beach. The power of the electric motor allowed us all to enjoy a beautiful day with very little effort. Even though they turned their pedals, they were getting no more power than I did by using the throttle. You might say we enjoyed a free ride-courtesy of an electric motor. So it seems is our guarantee to eternity--a free ride. Jesus did the work. We can or can't do works---but good works are not a requirement to enjoy the blessing of eternal life in His presence. Grace is the power behind the free ride. All we have to do is plug in to the Source of All Power and enjoy the ride into the beauty of Eternal Life. What a blessing! I keep falling off normal bicycles. So with a motorised one I'd fall off faster.